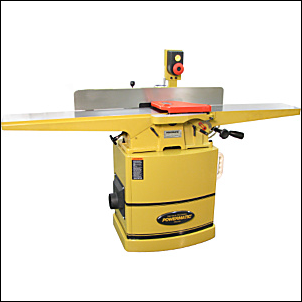 The Powermatic 60HH is an 8 inch x 6 feet jointer with a 54 blade helical head. 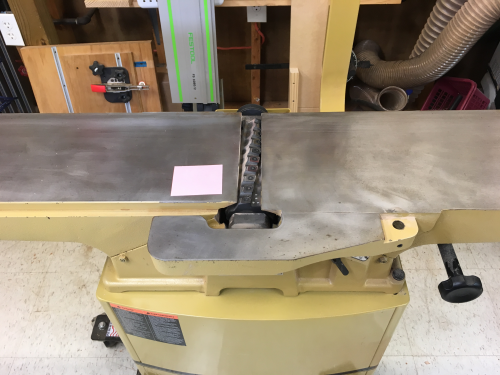 I found that the I was getting an uneven surface jointing...I suspected an uneven table. 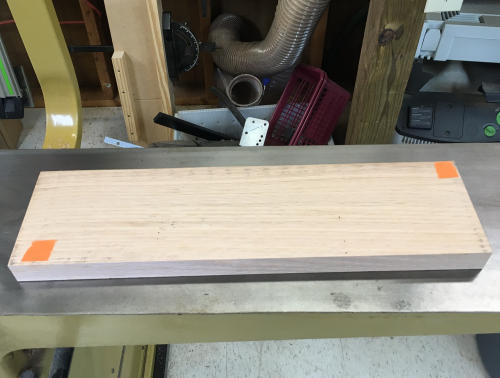 The first sign of the problem was a wobble in newly surfaced boards...I was working with some very old, very dry red oak...and I thought I was just getting wonky wood. But after a bad set of jointed surfaces I took a look and decided that the wood wobbled the same way with every board. The corners that wobbled are marked here. 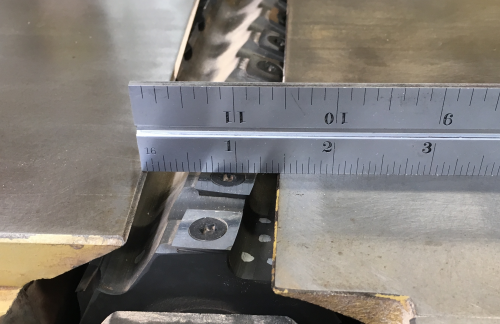 After setting the infeed table to be coplanar with outfeed table, I used a 12 inch rule to see if it was consistent across the table...it was not. The infeed and outfeed tables were coplanar near the fence, but the outfeed table was higher than the infeed towards the front edge. The high location is marked...note that the fence is removed. 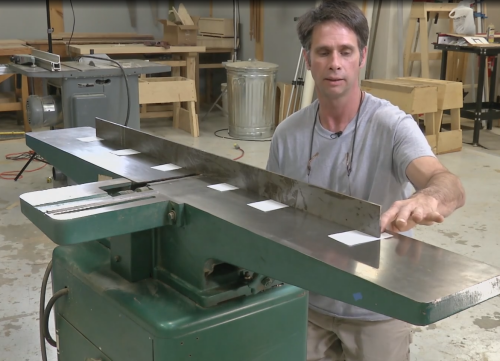 I watched a good video online at finewoodworking.com. 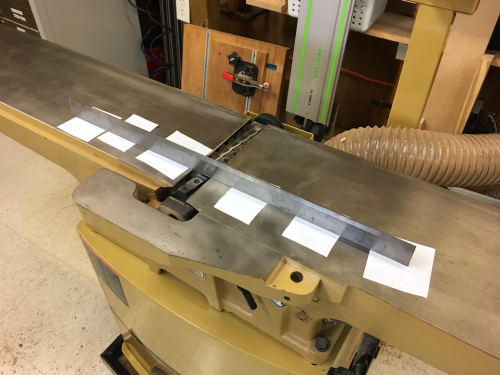 Matt Wajda sets up the infeed and outfeed table using a 4 foot straight-edge. 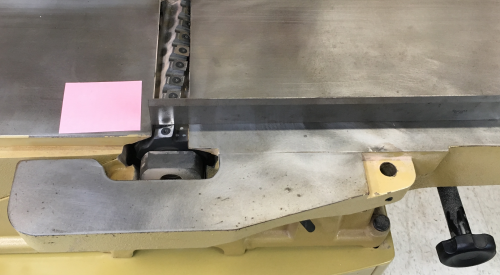 I only have the Starrett 24 inch straight-edge...it shows the same issue...high on the near edge of the outfeed. 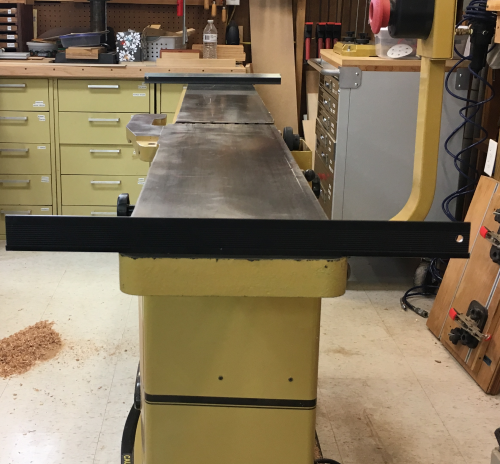 This shorter straight-edge helped to confirm the issues...but to fix the problems I need a longer unit for use on the 6 foot long table. 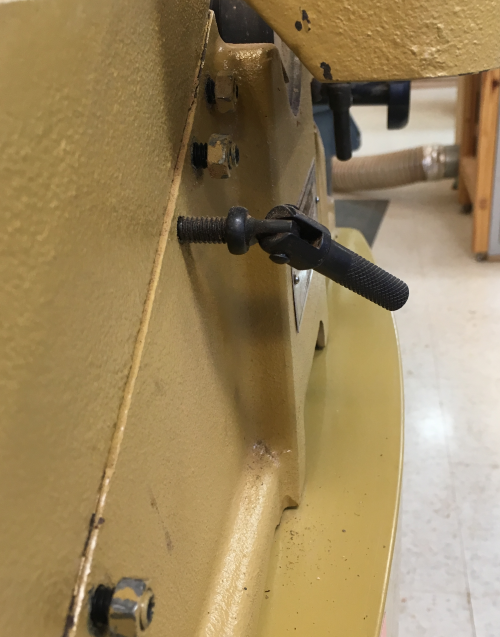 I used winding sticks to see if there was wind in the two tables...best I could tell there was no issue. 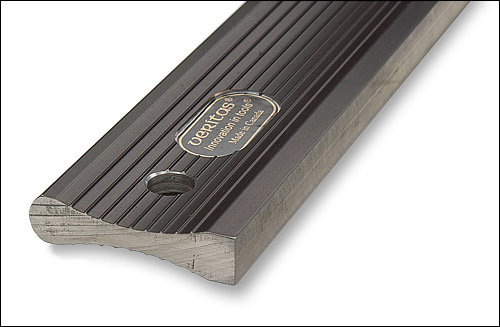 I ordered a 50 inch Veritas aluminum straight-edge...project on hold till it arrives. 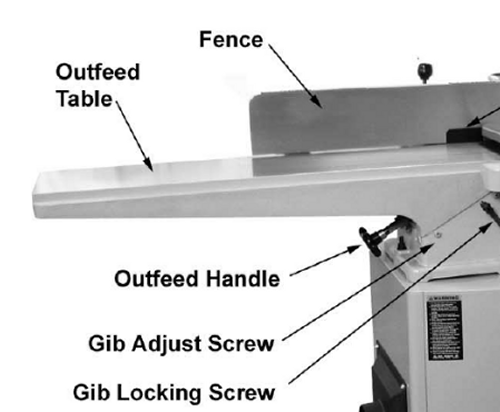 After locating the problem areas...remove the fence, free the outfeed table by releasing the gib locking handle. 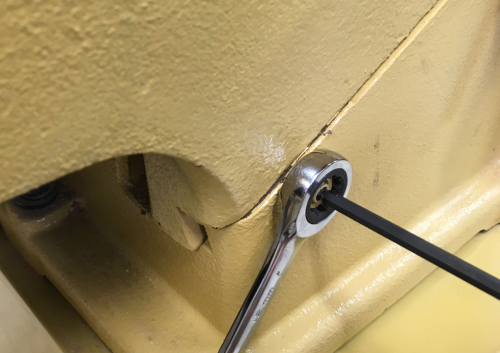 Loosen the outer hex nuts on the gib screws, 12 mm wrench, and then loosen the inner gib screw with a 4mm hex wrench. 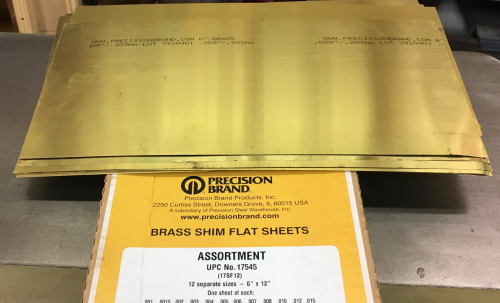 If needed, brass shims will be used for leveling. 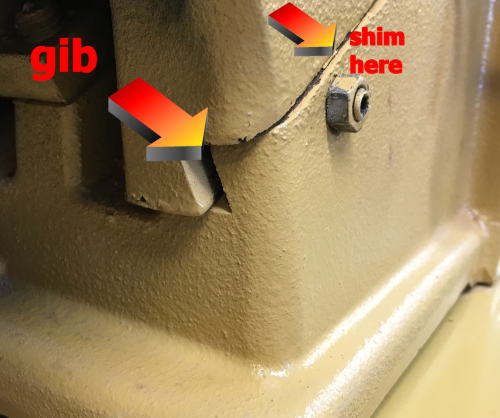 This is the dovetail way in the front that has the gib...the joint between the two surfaces just above the gib screw is where the shims will go.